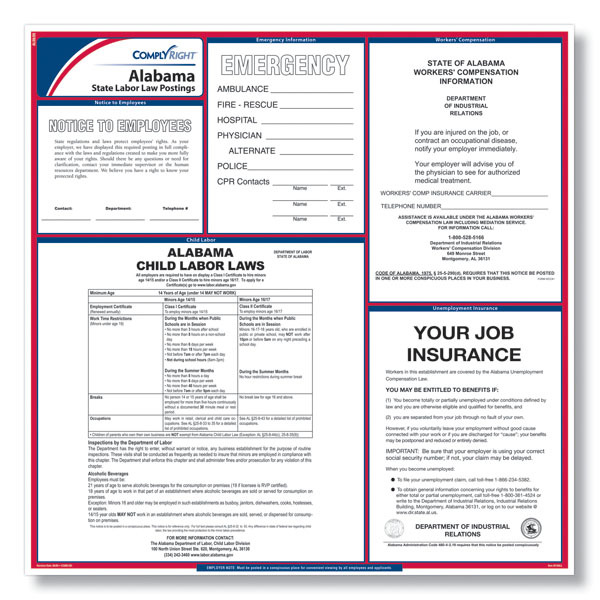 The ComplyRight Alabama Labor Law poster provides worry-free compliance for every location in a convenient all-in-one laminated design that makes meeting your state's posting regulations easy. 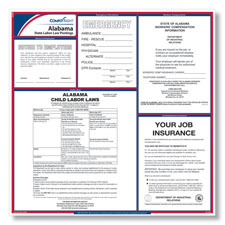 The Alabama Child Labor poster has been updated to reflect the addition of an email address, and phone number change to contact the Alabama Department of Labor, Child Labor Enforcement. The Alabama Workers' Compensation poster has been updated to reflect a merger between the Alabama Department of Industrial Relations and the Alabama Department of Labor. This is a mandatory change.